Season Ticket Members have the exclusive opportunity to enter into a lottery to purchase MLS Cup tickets. Please read the guidelines below for more information on how this lottery process will work. By entering the lottery, you are agreeing to the purchase of MLS Cup tickets should you be selected. Between now and 11:59PM CT on Wednesday, November 28, access your Sporting KC Account Manager via SeatGeek. Under the ‘Offers’ tab, click on the ‘MLS Cup Lottery’ link. From there, you will be prompted to select which venue lottery you’d like to enter. You may sign up for both New York and Atlanta, or just one or the other. We understand some fans may be able to make it to Atlanta but not New York and vice versa. By entering the MLS Cup Lottery, you are agreeing to the purchase of tickets should you be selected. If selected, you are eligible to purchase as many seats as Season Tickets on your account, up to a maximum of four (4). (Ex: If you have two (2) Season Tickets, you will be eligible to purchase up to two (2) MLS Cup tickets; if you have eight (8) Season Tickets, you will be eligible to purchase up to four (4) MLS Cup tickets.) Pricing will be listed on your SeatGeek Account Manager. If you wish to purchase less than the maximum number of eligible MLS Cup tickets based on the amount of seats on your Season Ticket account, please contact your Client Service Executive by the deadline of 11:59PM CT on Wednesday, November 28. 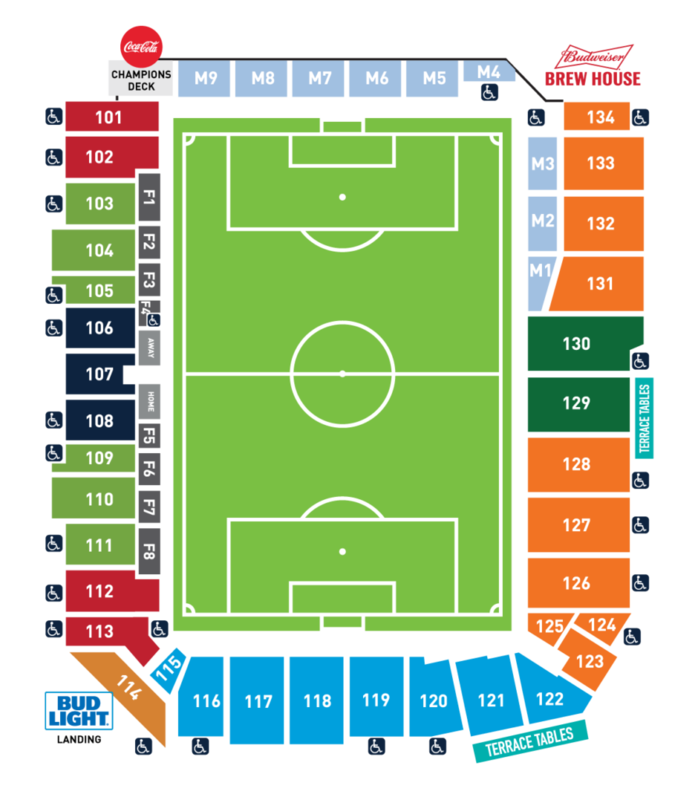 Otherwise you will be automatically charged for the maximum number of eligible MLS Cup tickets based on the amount of seats on your Season Ticket account, should you be selected. November 29. At Noon CT on Friday, November 30, we will charge your card on file. 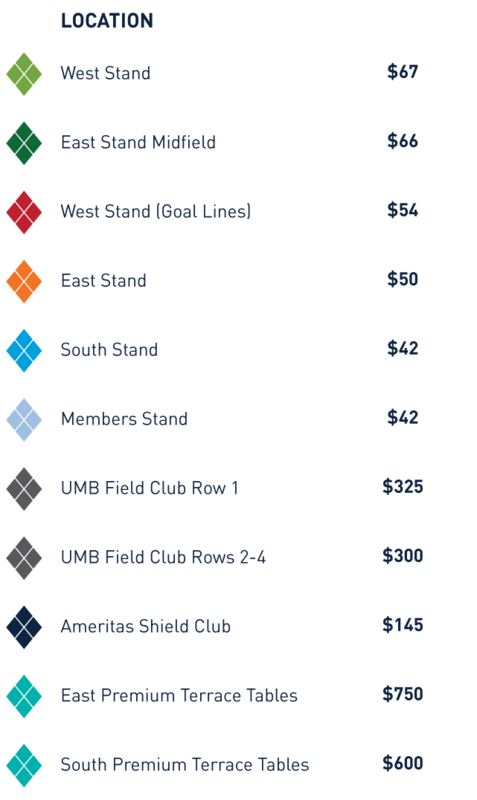 Purchasing tickets through this MLS Cup Lottery is the only secure way to purchase tickets to MLS Cup in the Sporting KC fan section. If you purchase through the secondary market, your tickets may be cancelled by the home venue. Pricing will be listed on your SeatGeek Account Manager. By entering the lottery, you are authorizing the charge of your card should we advance and should you be selected for the venue you specified when you registered. Resale of MLS Cup Tickets is not permitted. All tickets will be printed and made available for pick up at Children’s Mercy Park on Wednesday, December 5. If you are not able to pick up your tickets from 8:30AM-5:30PM at the stadium box office, your tickets will be left for you at the Will Call window of the home venue on Saturday, December 8. Sporting Kansas City is not coordinating nor responsible for any travel to MLS Cup. It’s time for Kansas City to claim the cup, and we can’t do it without your support in making Children’s Mercy Park the most intimidating venue in the league for opposing teams! As a Season Ticket Member, we’ve reserved your regular season seat location for all three potential home playoff matches (Conference Knockout Round, Conference Semifinals, and Conference Final). Playoff tickets will be charged on a ‘Pay-As-We-Play’ basis, meaning that you don’t pay for your playoff tickets until we’ve clinched a home playoff match. 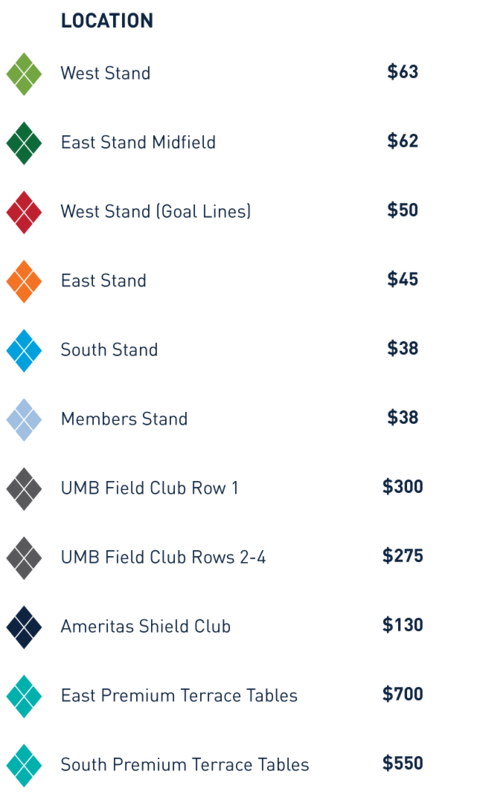 As Sporting KC continues in the postseason, your card will be charged at that time. We’ll remind you of all upcoming payments along the way. A potential MLS Cup Final at Children’s Mercy Park is not part of the three-match Playoff ticket package and will be a separate purchase. The MLS Cup Final is scheduled to be played on Saturday, December 8. If we are fortunate to host the match, more information on your presale will be provided after the Western Conference Final. You will not be charged for any of your playoff tickets until a home playoff match is confirmed. If you need to make any changes to the card on file, please contact your Client Services Executive. ‘Pay As We Play’ means that your credit card will not be charged until we have clinched and confirmed a home playoff date. We will message you prior to the clinching match, to notify you of the charge going through. If you are not interested in purchasing your 2018 playoff tickets, you MUST opt out via your SeatGeek Account Manager, under the Offers Tab you can opt out from 10am Monday, October 1 until Friday, October 12. Please note, if you choose to opt out of your playoff package and wish to purchase single-match tickets instead you will be paying an average of 25% more per ticket. Season Ticket Members that purchased Blue 2 or Red Lot parking during the regular season will be charged for their respective lot for each home playoff match played. Suite, UMB Field Club, Ameritas Shield Club, and Premium Terrace Table account holders will receive complimentary Playoff parking within your current regular season parking lot. Season Ticket Members who parked in the White parking lot during the regular season will receive complimentary Playoff parking for the White lot. If you opt out of your Playoff Ticket Package, you will not receive a parking pass. 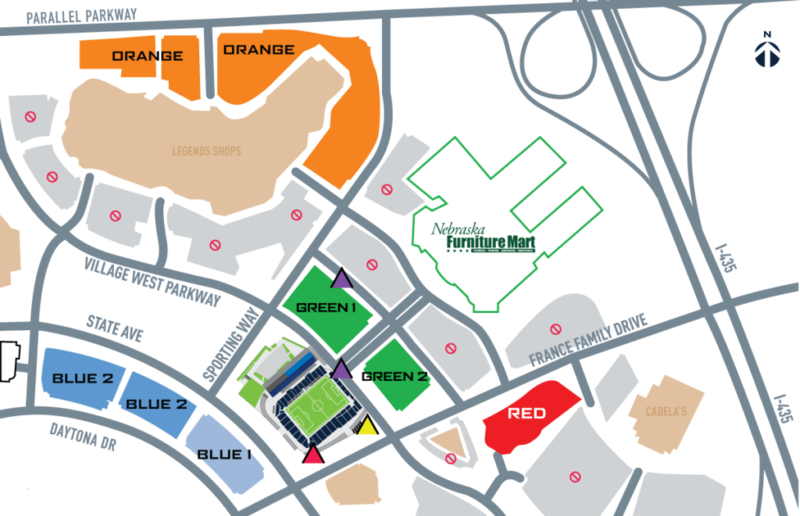 Please note – Parking passes will be identified as Knockout Round, Conference Semifinal and Conference Final. Please print off the parking pass and present the pass to the parking attendant to gain access to the lot. To accommodate all Season Ticket Members with a parking spot, we ask that you DO NOT forward or make additional copies even if additional Playoff packages are purchased. Season Ticket Members have the benefit of purchasing additional three-match Playoff ticket packages. Please contact your Client Services Executive to hear available options. (subject to availability). All Playoff matches and all tickets associated with each match will be available on your online SeatGeek Account Manager. Your tickets will not be available to be managed online until the home playoff match is confirmed. Only confirmed Playoff match dates may be posted for resale through your online SeatGeek Account Manager. Please contact your Client Services Executive at 888 4KC GOAL or clientservices@SportingKC.com if you have any questions or need assistance.